NAPOLEON DYNAMITE . . . coming 8/1! 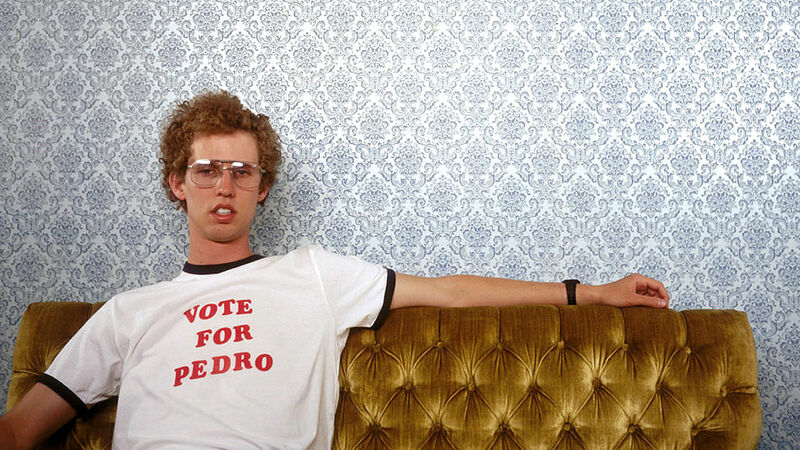 Dig out your Moon Boots and dust off your dance moves, because this Tuesday at the pier we’re showing NAPOLEAN DYNAMITE. The little-indie-that-could became a pop culture phenomenon in 2004, pulling in nearly 45 million dollars at the box-office and making a cultural touchstone of it’s titular geek. Tater Tots and hipster vernacular would never be the same. NAPOLEON DYNOMITE is brought to you by our friends at Waterfront Kitchens and Pizza Moto. Dinner will be 10″ personal pizzas (plain or pepperoni, $8 each) courtesy of Pizza Moto’s mobile pizza oven, along with limonata, aranciata, and blood orange San Pellegrino sodas ($3). Steve’s Authentic Key Lime Pies will be open across the parking lot selling their tarts and swingles. And Dolce Brooklyn and KingLeche Cremes will treat us to a selection of handmade gelato, sorbetto, and goat’s milk ice-cream. See you at the pier!